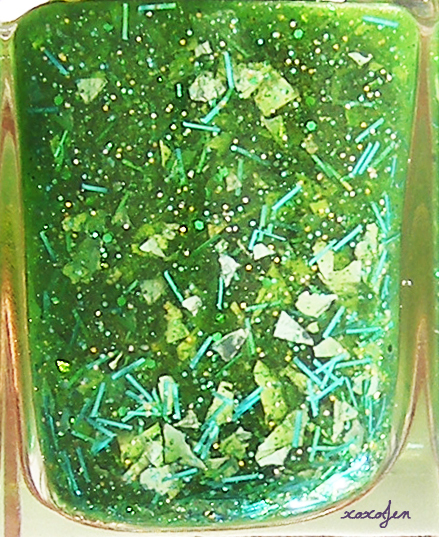 Gold and green micro glitter, green bar glitter, and lime green shreds swim in a sea of green shimmer filled jelly. 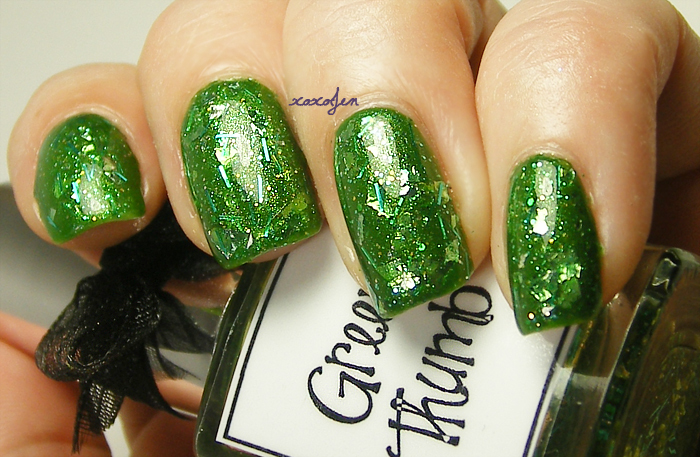 Absolutely stunning in the bottle, take a look! Even more stunning on the nail! 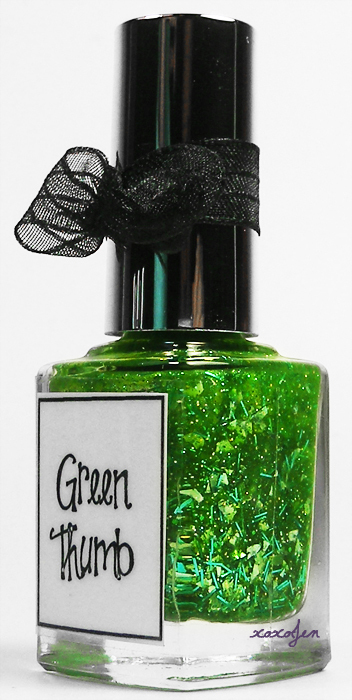 I first tried Green Thumb on its own, but at three coats I thought it was a little thick so I removed and tried it with underwear. Photo shows one coat Nina Salsa for underwear, two coats Green Thumb, Gelous and SV.